This book is a reinterpretation of Churchill’s life and achievements seen through the perspective of his lifelong love affair with the British Empire. He emerges as a statesmen convinced that the Empire is a unique for force for good and the spread of civilization and that the fulfillment of what he called Britain’s imperial ‘mission’ was the touchstone for government’s policies in peace and war. I have shown how imperial considerations dictated his decisions throughout his career. Placed in the imperial context it made good sense to force the Straits in 1915 and overthrow the Ottoman Sultan whose jihad threatened the stability of the Allied empires in Asia, the Middle East and North Africa. Likewise, Churchill’s grand strategy in the Mediterranean and Middle East was designed to defend imperial interests and, after 1942 to consolidate Britain’s regional power. All this is controversial, as are my conclusions about Churchill and Irish policy, his involvement in the Russia intervention of 1919-1921 and his grand design for the re-ordering of the Middle East which did so much to lay the foundations of the present day imbroglio. Churchill was a dominant figure in the first phases of what has become the ‘war of the Ottoman succession’. Churchill’s Empire was humane and benevolent, but as a minister he was driven by expediency to abandon his moral compass. In South Africa, Iraq and in Kenya in the 1950s Churchill allowed the Empire to be compromised by harsh subordinates.Yet, in his persistent and fiery opposition to Indian independence, Churchill was prepared to squash the Congress movement, which he detested. Six years after Indian independence, he said that he would have been willing to fight to keep India. There were many contradictions in his opinions about the empire. I have treated both world wars as imperial conflicts. In the Second, Churchill was guided by the vision of the United States, first as the partner in the imperial war effort, and once it was clear that the Allies would win, as a postwar collaborator. The USA and the British Empire would together created a fairer, better world. The Prime Minister was naïve in the extreme; Roosevelt wanted a new world free of empires and American policymakers, generals and businessmen were laying the foundations for that world. The ‘special relationship’ in which had so much simple faith was, I have argued, a Faustian pact. After 1945 this became, increasingly apparent. As Prime Minister between 1951 and 1955, he found himself unable to win American backing for Britain in the Middle East. The relationship was now that of master and servant, yet Churchill clung tenaciously to his faith in American altruism and goodwill. He had become the jilted lover. As Churchill had feared during the war, victory would mark the beginning of the end for what he fervently believed was an Empire that offered hope for mankind. I have relied considerably on the records of the intelligence services, as Churchill did. These and other sources had provided much new and sometimes astonishing material on the 1914 Irish crisis,the war of intervention in Russia, Anglo-Italian and Anglo-Japanese imperial rivalries in the 1930s, the fall of Singapore and Burma, King George VI’s views on Australians, Anglo-American wartime tensions, British biological and chemical warfare research, and plans for an atomic offensive against China in 1954. Throughout, I have been sympathetic towards Churchill: his imperial vision was, in essence, decent and humane, but, when exasperated or crossed, he did show a vindictive fury against some of the Empire’s subjects who did not recognise what he thought was for their good. "Lawrence James has found something fresh to say about him by concentrating on the great man’s lifelong romance with the Empire and viewing his multifaceted activities through that prism...It is high time that someone stripped out the guff about the Anglo-American alliance being a partnership of equals and James performs the necessary demolition job admirably." "Lawrence James is the doyen of empire historians..."
"...a fascinating portrait of an endlessly interesting man... it makes for wonderful reading. You will certainly learn a thing or two about our finest statesman." "witty and erudite... James' book does an important job ." 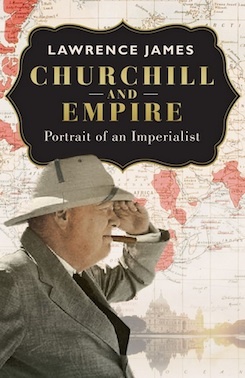 "James, an expert chronicler of imperial history, shows how Churchill never wavered from his belief that the Empire was “a precious asset, not just for Britain, but for civilisation as a whole”. He analyses from this perspective the whole of Churchill’s career, bringing fresh insights even to oft-examined episodes such as the Boer War and Gallipoli. One of the many strengths of his magisterial survey, based on extensive research in primary sources — especially the records of the intelligence services — is its objectivity.... The portrait of the final years is both compelling and sad, as Churchill had unwillingly to come to terms with the fact that, “however loudly the lion roared, it needed America’s permission to pounce”. James has written a pioneering biography of Churchill from a central, specific point of view that reveals his strengths and weaknesses in an entirely new light. It will be of abiding interest to all those concerned with Britain’s past and how it influenced the world in which we live today. " "James has devised a fine portrait of eccentric genius in pursuit of a lost cause, of a blind devotion to an empty idea, and of an arrogance that never faltered. " "Writes extremely well and refreshes a multitude of familiar topics with narrative skill. 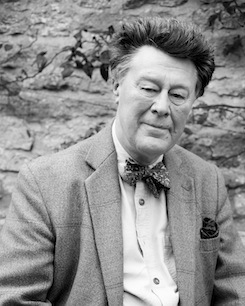 The clarity, pace and punch of his prose carry the reader along ." "Finds something new to say by focussing on Churchill’s lifelong romance with Empire." "Seemingly miraculously, Lawrence James has found something fresh to say about Churchill by concentrating on his romance with the Empire. " "“[A] brisk, thorough, and revisionist study … James has a gift for narrative. … Churchill and Empire is a thoughtful, searching look at British imperial rule and its most eloquent champion." "This is a stylish, intelligent, and readable book." "James has a gift for writing generally pithy prose"
"Should enlighten and entertain readers who wish to learn more about an empire that was more extensive and arguably more influential that that of Rome."